What is really driving sales of water-efficient bathroom products? It would appear that once behind the bathroom door, consumers care less about the impact their bathroom habits are having on the planet and more about the impact they are having on their wallet. Water efficiency as a consumer purchase influencer is one of the areas investigated in the recent two-part consumer insight research carried out by Trend-Monitor in partnership with the Bathroom Manufacturers Association. The first part of the study, which looked at bathroom purchasing trends, found that for up to 80% of bathroom consumers water efficiency was a key purchase influencer. However, the results of the second part of the research, which examined bathroom habits and behaviours produced key findings that offer valuable insights into UK consumer behaviour when it comes to water usage and food for thought for bathroom manufacturers. The second study, aptly named‘ Behind the Bathroom Door’ – followed 50 householders for seven days to track their bathroom habits, and assess their use of bathroom products and attitudes to water efficiency. Key findings from the research showed that when it comes to bathrooms, consumers primarily want functionality, cleanliness and space. The findings also demonstrated that our daily bathroom routines are rigid and rarely change. And it is the entrenched nature of these activities that is worth noting as this is resulting in some very wasteful habits when it comes to water usage. For example, a typical shower uses on average 50 litres of water1, and the study found that most people shower once a day, and that the average showering time is approximately 10 minutes. However, 22% of respondents spent over 15 minutes in the shower, and almost 60% of showers are run to warm up, some for up to 5 minutes. When it came to tooth brushing, 25% kept the tap running throughout the whole process, while 81% left the tap running with the plug out for hand washing, and 63% left the tap running and plug out while washing their faces. The majority of those who prefer to take a bath said they fill it as deep as possible – a typical bath can take up to 115 litres to fill2. When asked to list their priorities from one to 10 when purchasing bathroom items, most respondents indicated their first priority was that products should be functional, second was that they should be easy to clean, and third was their design quality. The fact that products should be water efficient came low down the list at number eight, and bottom of the list was that products should be from a well-known brand. So what does this mean for bathroom manufacturers, and specifically, what are the implications for the marketing messages that they need to be conveying to consumers? With the functionality of products being the top priority for 54% of respondents, consumers clearly need to be reassured by manufacturers that water-efficient products are also effective. Marketing messages and POS material need to convey that water-efficient showers and basin taps can also offer a powerful washing experience, and that the toilets have an effective dual flush. However, there is another strand to this, and that is the fact that water efficiency saves consumers money. Water metering is now compulsory on new buildings3, and the average water bill per household is almost £400 per year4. 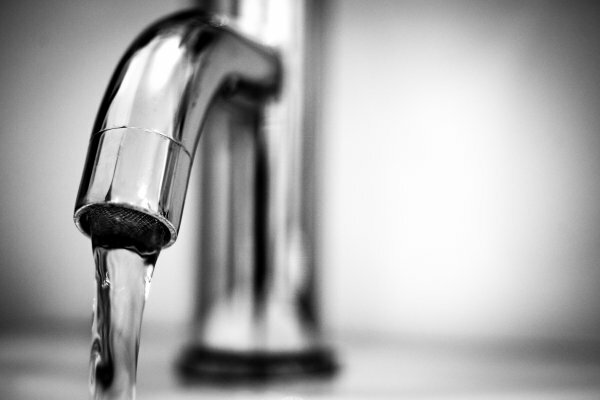 The Trend-Monitor Bathroom Purchasing Trends report found that over half the respondents had a water meter fitted at their home, and that those with water meters placed more importance on the water efficiency of products than those without. With the proliferation of water meters, the demand for water-efficient products looks set to increase as consumers seek to make savings, however, it was concerning to note that over 40% of bathroom product consumers said, at the point of purchase, they were not made aware of the amount of water individual products will use. When it comes to product development, manufacturers must continue to focus on high-performing water-efficient products. But is it time manufacturers set about educating consumers regarding the amount of money their wasteful habits are actually costing them?